It’s that time of year once again. Summer has come and gone and another Minnesota winter is just around the corner. Ugh! 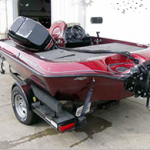 For thousands of boaters in Minnesota that means it’s time to take their boats out of the water for winter storage. 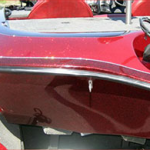 So before the weather grows colder, it might be a good time to take a good look at your fiberglass, aluminum or metal flake boat for any damage this past summer may have inflicted. 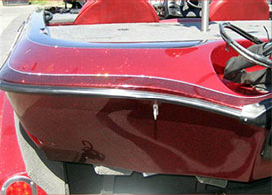 On metal flake boats especially, there is only so much gelcoat on any boat. 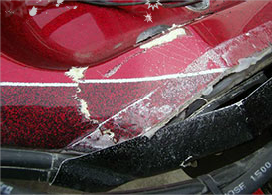 If you don’t maintain it regularly, you are going to have an oxidation problem sooner or later. 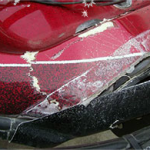 Boat damage… it can begin with collision, dock, rock, wind, storm, or trailer damage. But where it ends nobody knows…Left too long, these issues can lead to the degradation of your beloved boat. Many boaters take the opportunity during winter months to get their boat patched, repaired, or restored to ensure not only their protection and safety, but also to prevent problems that could keep them off the water once the next boating season is underway. Remember to inspect your trailer. A malfunctioning trailer can spell disaster for even the most veteran and most prepared angler. Most trailer malfunctions and accidents can be directly traced back to a failure to dedicate some time to the most basic preventative maintenance. 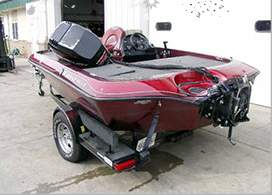 If your boat is important to you, contact a reputable Minnesota boat repair company that has experience in boat trailer repair, collision, structural, and storm damaged boats.